Provides Versatility, Safety, Productivity in Closed Vessel Digestions. Digest samples with precise dual temperature controls. Ideal for developing digestion methods for sensitive environmental and high organic content samples. Multi-layered safety features, including Q-Sensâ"¢ temperature and pressure sensor module and OPGuardâ"¢ pressure protection mechanism. Choice of sensor vessels for in-situ temperature and pressure measurement. Selection of digestion vessels to cover wide spectrum of applications. 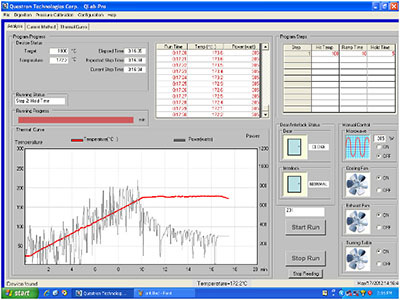 Controlled temperature up to 230°C. Can be used as a stand-alone system or with PC. Rotating antenna & carousel, and unique cavity design ensures uniform microwave distribution. Automatic power control to match sample load. Automatically protects against unusual heating of vessels. 150 CFM exhaust for fumes removal and vessels cooling. Ideal for digestion, extraction, evaporation and synthesis. OPGuardTM pressure protection mechanism safely vents over pressurised vessel. 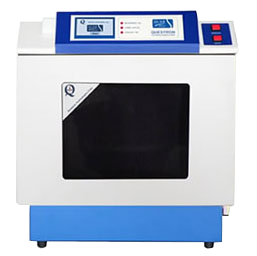 The mechanism safely directs the vessels contents out to the fume hood via the oven exhaust ducting and automatically shuts down microwave power. Rugged and fortified oven body guarantees operator safety in the worst scenarios. Unique QSensTM technology ensures complete safety against extreme pressure release by cutting off magnetron power, activating audible alarm and displaying visual warning. Easy navigation for method creation and storage. Audible alarm and visual alerts during digestion runs. Preloaded with EPA and other standard methods. User friendly Windows® -based PC software for enhanced operations. 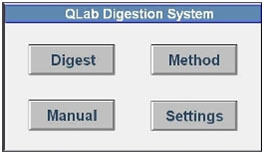 Creates and stores unlimited number of multi-step digestion recipes. Data export capability for tracking, tracing, and documentation. 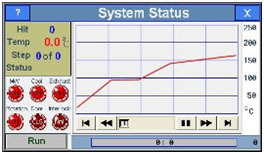 Control parameters displayed in real time.